Dominic Grieve, in plain old British parlance, is the man who bottled it. His descent from being a different type of politician who was standing up for principles to plain old self-interested Tory MP was really quite unremarkable in the end. All it took was for a Tory whip to do some arm twisting. 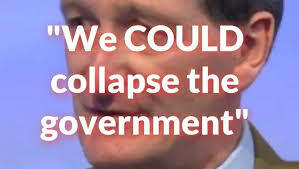 Dominic Grieve dumped his ‘rebel’ label with one fell swoop. How do you go from being a man of principle who spends hours and hours doing the rounds on political shows and in political dens trying to convince the Government that MPs should be able to vote on any Government motion if there was no deal before exit day on 29 March to a cop out? By being a Tory, that is how, who only has disdain for the principles of democracy. Dominic Grieve’s rebel days are well and truly over. If he were to ever express contrary views again he would be in the running for the label of ‘the boy who cried wolf’ and this would be the most polite of labels bestowed upon him. 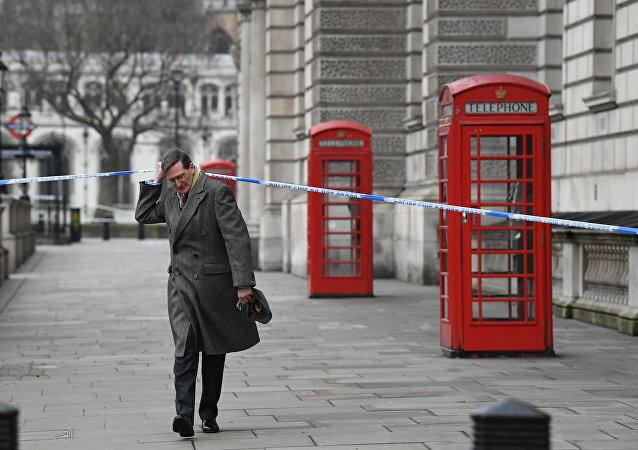 After having voted with the Government twice the closest, it seems, that Dominic Grieve will ever now come to being a rebel is when he crossed a police line.